MANILA, Philippines - A fresh graduate has recently revealed the heartbreaking reason why she didn’t immediately return her toga and even took it outside her graduation ceremony. 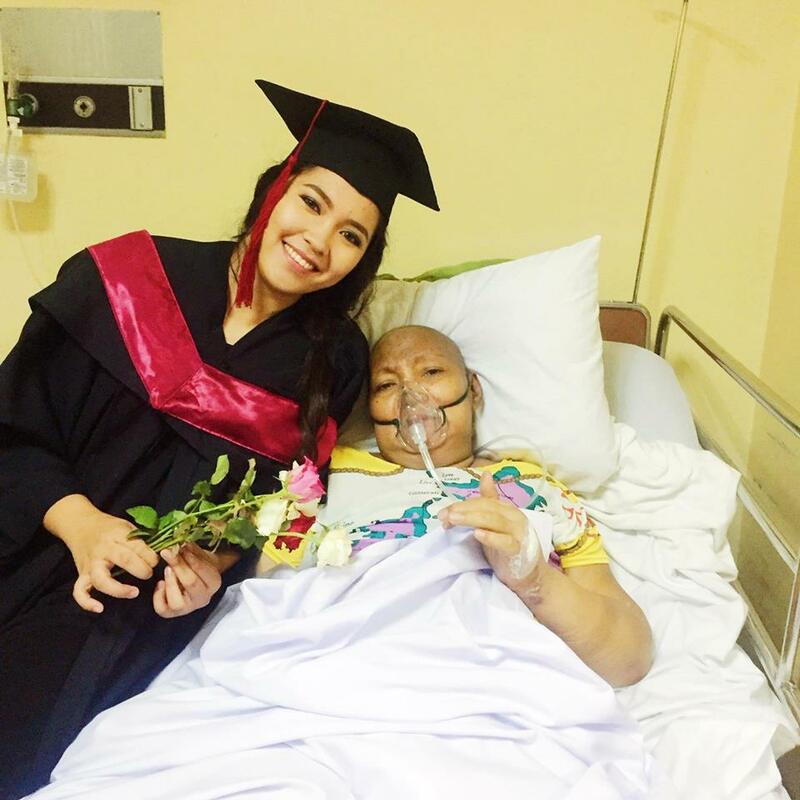 Christine Jasmine Edrozo, who recently earned her Bachelor’s degree in Computer Science at the Pamantasan ng Lungsod ng Muntinlupa, has shared the story behind her seemingly rebellious act on her graduation day through a viral Facebook post. According to Christine, they were supposed to return their toga to the registration booth after their graduation ceremony. However, she decided to purposely snuck it out of the venue in order for her sick mom to see her wearing the toga. Apparently, Christine’s mom, who battling breast cancer, was being treated at the Philippine General Hospital (PGH) in Manila. This prevented her from witnessing an important milestone in her daughter’s life. “Kanina after Graduation sabi samin hubarin na yung toga at ibalik doon sa registration booth. SORRY PO! Sinadya ko po talagang itakas .Gusto ko po kasing makita ni mama na nakasuot ako ng toga personally. Gusto nya sana kasi na sya yung sumama sa Graduation day ko kaya lang hindi sya pwede kaya ako nalang pumunta,” Christine wrote. Christine had to travel all the way from Muntinlupa to PGH after her graduation ceremonies. Although she arrived at the hospital at around 10 p.m., which was beyond visiting hours, the hospital guard still allowed her to visit her mom. In her post, she revealed that she isn’t asking for any material thing as graduation gift. She only wishes that her sick mom would remain strong and fight in order to overcome her delibitating disease. “Ang gusto kong graduation gift ay yung magpalakas ka, magpagaling ka, at magTIIS ka pa konting tiis pa mama. Gusto ko pang makasama ka sa pagsabak ko sa bagong yugto ng buhay ko. Graduate na ko mama tutuparin ko pa yung pangarap mo na maging successful ako. Mama! Alam ko na po kung pano magtiis,” Christine wrote. Sadly, on Thursday, June 22, Christine’s mom passed away.